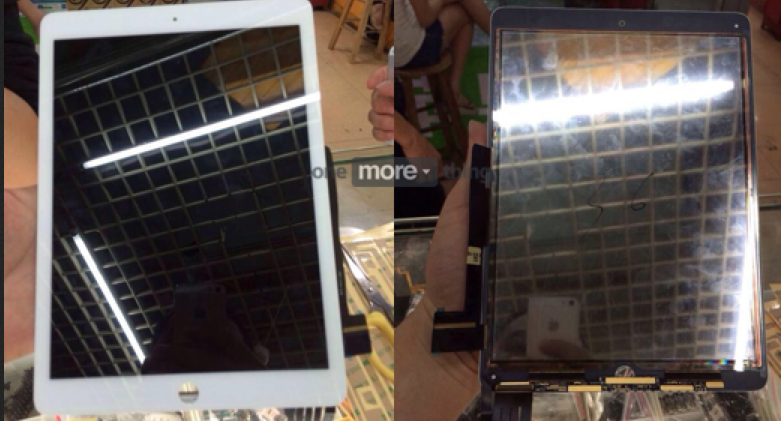 A newly leaked image claims to show the front casing for Apple's next-generation iPad Air, hinting that it may be even thinner than the current generation model. The leaked image, which was published by Dutch blog onemorething.nl and spotted by Apple Insider, shows a front panel design with the LCD and cover glass assembled as a single unit. This means that the LCD screen and the glass that is used to protect it may be integrated into one panel, which would make for a slightly thinner frame than Apple's current tablet. The Dutch blog claimed it recieved these images from a Chinese display supplier. This manufacturing process isn't new for Apple, however. It would just be new for the iPad if the leaked image is accurate. The company has been chemically bonding the cover glass to the LCD for its line of iPhones since the iPhone 4 was introduced in 2011. Rumors concerning Apple's next iPad are still scarce, but it's likely to run on whatever the next iteration of Apple's mobile processor is, presumably the A8. It's also likely to run on the next version of Apple's mobile operating system, iOS 8. It's unclear when Apple will make any announcements concerning its future iPads, but KGI Securities analyst Ming-Chi Kuo predicts a new iPad Air and iPad Mini will launch in Q3 2014.